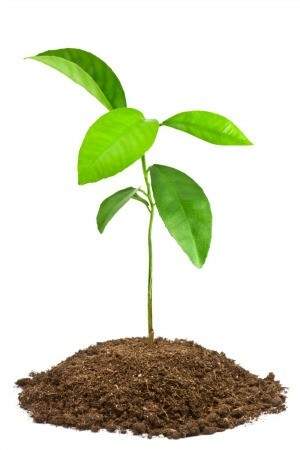 Many trees have a number of baby trees that grow out of the fallen leaves and mulch. This guide is about transplanting volunteer saplings. Use a bulb planter to transplant volunteer seedlings. I used this method to transplant okra volunteers with great success minimizing the chance of disturbing or damaging the roots. I transplanted about 15 seedlings and only lost 2. I've been doing some research and your article on "How to Transplant Trees" has given me a glimpse of hope with a maple tree I just attempted to transplant. I'm in the midst of green leaves turning brown and dry. There are hardly any green leaves left. I have almost giving up hope, yet I am determined to do what I can to save this tree. I'm actually from Northern Ontario Canada, and realize that transplanting in the midst of the summer in hot, dry weather so far, is not the best but I had no other option. I read that I should water the tree, but not too much. Now I'm desperate for a direct answer which will actually guide me in doing what is best for my poor maple tree. Do you have further advice for me because searching the net becomes quite confusing after a while? I would water the tree with my sprinkler at night, leave it on for about one hour, on a mist so the water doesn't hit the tree too harshly. Do you have any other suggestions? I'm open to anything that will encourage my tree to pull through this shock that has hindered it's life. I do have a question, and this worries me a lot. The tree has like three tiny trunks (almost looks like branches at the moment). They were all together when we dug it up and we left them together. Is this a sign that we didn't dig up the right thing? It has to be 3 baby trees that were entangled altogether (with roots of course). What do you think? Do I really have a Maple tree with potentially 3 in 1? I'm not sure anymore and as you can see I should have researched before hand. I went to visit my daughter and noticed this beautiful green leaved tiny tree underneath other huge trees, which was stuck against a fence which gave us a harder time to get more roots, so we gave it a shot. Please help. If you transplant a deciduous tree, such as a Maple, while the tree has leaves on it, the tree might lose it's leaves, but give it a little time and it could sprout new leaves. I live in Winnipeg. When we moved into our present home, I dug up 2 tiny maple seedlings and transplanted them to the south side of our yard. They are now each about 35 feet tall! Took 26 years, but they are beautiful! Water them in the morning, so the leaves have a chance to dry off before nightfall. If they are wet overnight, they may develop a fungus, or mold, and fall off. I left a small depression in the ground around each tree when I planted them, so the water would pool around them and soak the roots. I watered them about an hour every day all spring, summer, and fall, for 2 years, then 2 times a week every year after that, for 3 years. Once they are about 5 feet high, they only need watering once a week. I use a soaker hose. It was worth the effort and the water. They shade my whole front yard. I would check the roots as it could be dead. If its not give it lots of filtered sun. When you water it I would put the water with root stimulater mixed in a plastic bottle. Like one for dishwashing liquid. Also never give it cool water out of the sink. I try to kill these trees as they have taken over my small backyard. I can send you free seedlings anytime. I live in Louisiana and pay it forward all the time. Just let me know. happy.now@suddenlink.net My name is jazzy.